Toronto's team ambassador spotted courtside in soon-to-release Jordan retros. In his usual courtside seat at the Air Canada Centre, Drake cheered on the Toronto Raptors in tonight's game against the Brooklyn Nets. The team ambassador and Jordan Brand affiliate marked the occasion by breaking in his remastered 'Oreo' Air Jordan 4s, which are set to release Feb. 21. 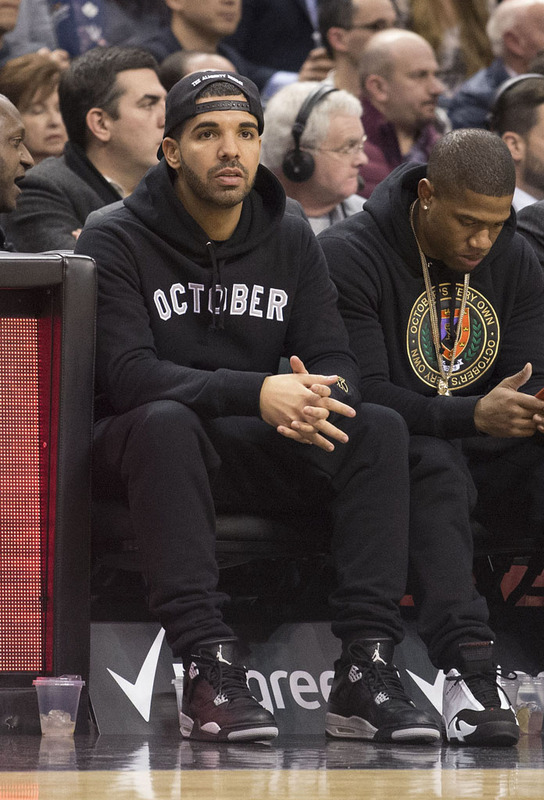 On this night, Drizzy didn't prove to be the Raps' good luck charm — they fell to the Nets 109-93.